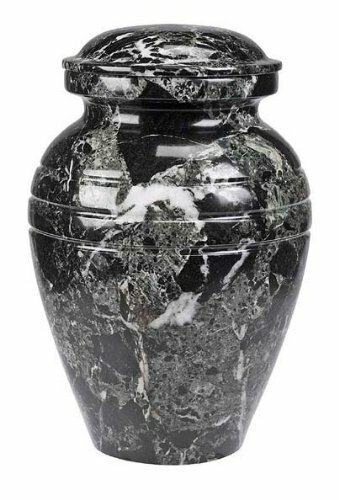 Our black marble cremation urn, with intricate white grain, was designed to honor your loved one with elegant dignity. As it preserves your most treasured memories, this discriminating work of art will accentuate any room in your home. Genuine Marble. Old World Elegance. Our black marble cremation urn, with intricate white grain, was designed to honor your loved one with elegant dignity. As it preserves your most treasured memories, this discriminating work of art will accentuate any room in your home. If you have any questions about this product by Alterna Cremation Options, contact us by completing and submitting the form below. If you are looking for a specif part number, please include it with your message.